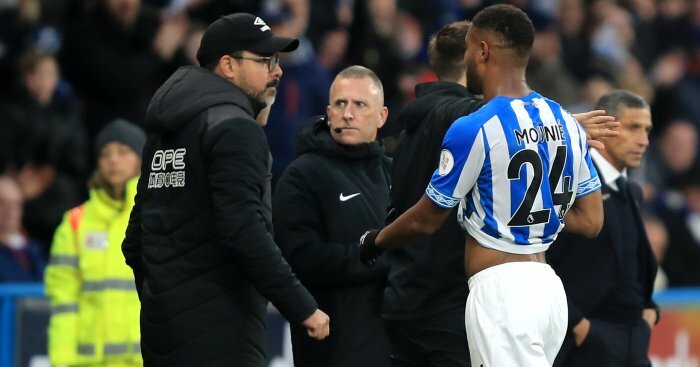 Huddersfield fans were left fuming with Michael Oliver after Saturday’s home defeat to Brighton with boss David Wagner in no doubt why his side lost, all in Ref Review. 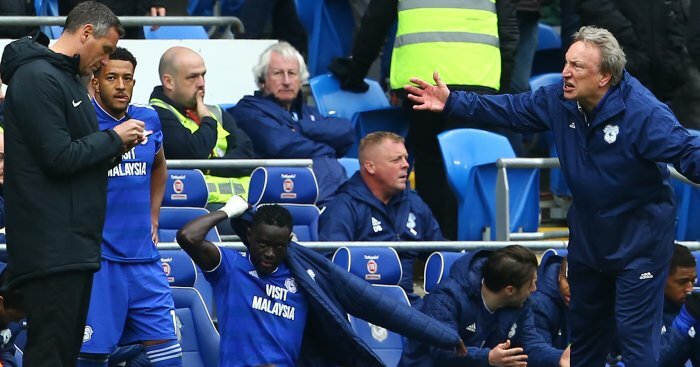 Mounie’s immediate reaction was of dismay and Bissouma certainly made the most of it. The Terriers also arguably should have had a penalty kick when Alex Pritchard was seemingly dragged to the floor by his throat from a first-half corner, but Michael Oliver waved away appeals. 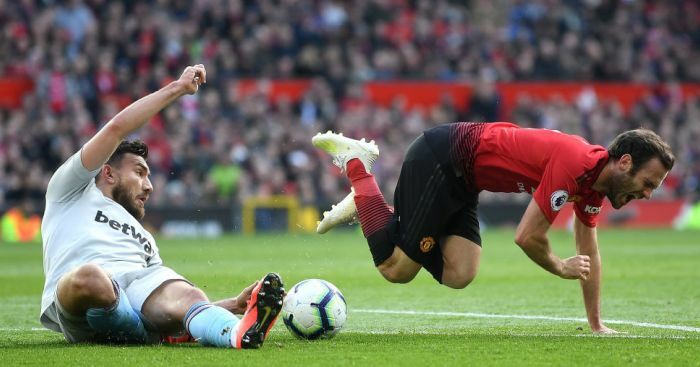 Full-back Erik Durm was the subject of a crunching challenge from substitute Leon Balogun, which upon replay was twice as bad as the tackle which saw Mounie see red. Balogun makes contact high on Durm’s planted ankle and could have caused a nasty injury, but once again Oliver misjudged the incident. 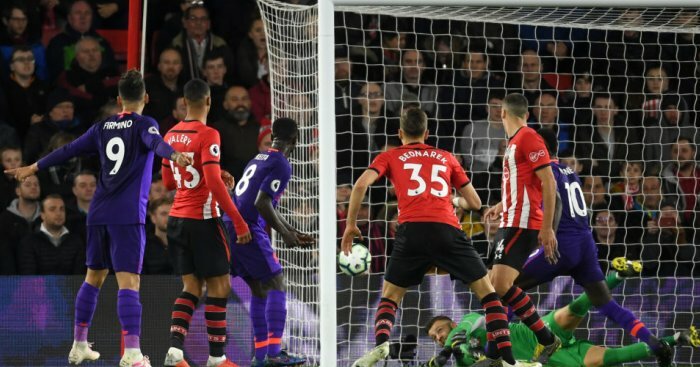 Vardy’s first-half penalty had put Leicester ahead, with the forward converting from the spot for the second week running after being brought down by Ben Foster in the box. Foster protested his innocence after the game, stating: “I felt like I pulled my arms away but from where I was it just felt unnatural that he stuck his leg out that far.” However after watching it a few times the award looked pretty straight forward to us . When trailing 2-0 against the Foxes Watford thought they had a lifeline when Will Hughes went to ground in the area as Wilfred Ndidi put a leg across the Watford midfielder as he tries to make his way into the area. Replays later showed it was outside the area, but strangely absolutely nothing was given by the officials. Not sure about that one as while the infringement happened just outside the area the Hornets should have been given a free-kick at the very least. 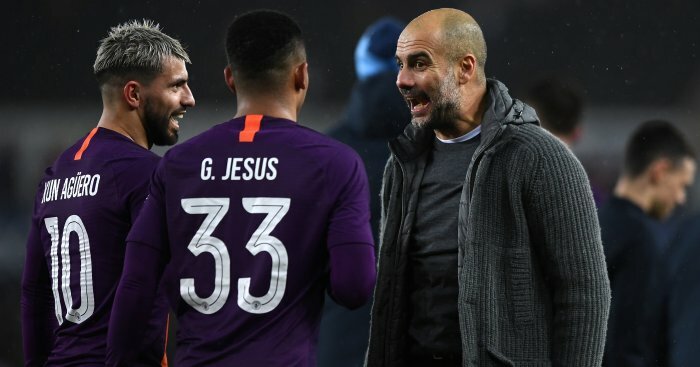 Capoue was sent off a minute from time after a two‑footed tackle on Kelechi Iheanacho. However Hornets boss Javier Gracia stated afterwards that the club intend to appeal the decision. Gracia said “I saw it clear because it was in front of me. I prefer not to say anything only what Iheanacho said. 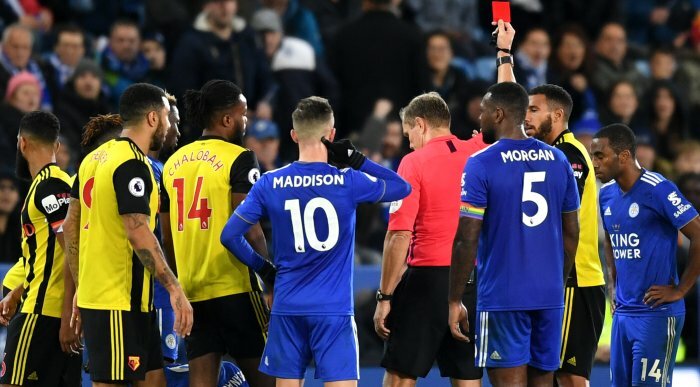 He said Capoue didn’t touch him and that is more important than what I can say.” It was a red that divided opinion as while Capoue did technically go in two-footed it was more due to him losing his footing than anything truly malicious. Fellaini picked up his first booking of the season after wafting an arm in the direction of Mario Lemina in the first half at St Mary’s. It was clumsy rather than dangerous play so on reflection a yellow was about right. 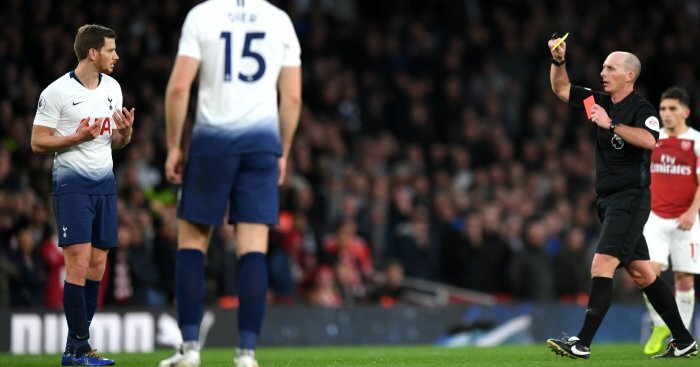 Heung-min Son won Spurs a penalty in a frantic North London derby but there were question marks as to whether whether Rob Holding actually made contact with the forward. Holding went sliding in on Son but seemed to miss his legs if anything and so he can count himself unlucky. A miserable afternoon for Spurs was rounded off by Vertonghen being sent to the stands after catching Alexandre Lacazette on the ankle. Having been booked earlier in the game for handball, sliding in like he did was always going to prove risky. In his post-match conference, when asked if the red card decision cost his side defeat David Wagner simply responded: “Yes”. 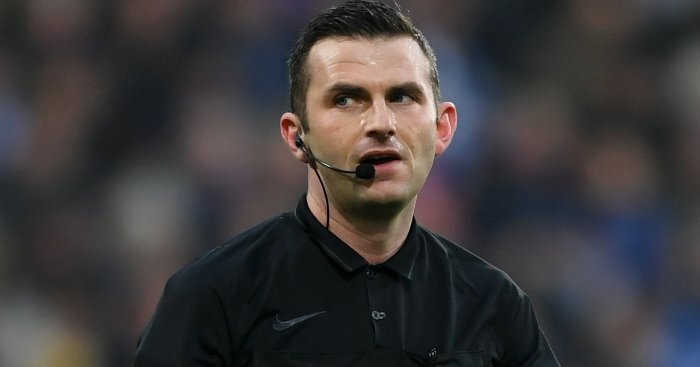 The German was particularly scathing of Michael Oliver afterwards and hinted they may appeal the red. There’s no doubt the dismissal was a game-changer and cost the Terriers the chance to record consecutive wins for the first time since February. It was a really poor challenge on Lacazette that got him dismissed for a second yellow and while Poch said afterwards: “I thought it was a bit unlucky” we feel Mike Dean definitely got it right.